This entry was posted in Study in UK UK and tagged student visa study abroad uk UK Visa on May 8, 2015 by Blog Author. United Kingdom is home to world’s best colleges, universities and schools. They offer umpteen number of educational and career opportunities to its international students. With a strong intention to lure a number of overseas students across the world, its concerned educational department is all set to provide a diverse range of benefits that would be helpful for a student to easily stand apart from the crowd. Out of above all mentioned visa options, UK Tier 4 student visa (General) category is the best option for an applicant over 16 years. 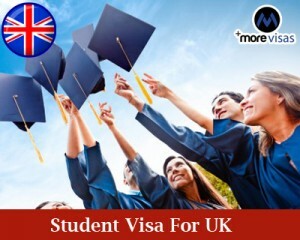 Moreover, international students who were offered with a full-time course in any of the renowned educational institutions of the country are eligible to obtain student visa for UK. Stay duration of a prospective student varies based on the type of course that he or she is going to undertake. If the course that you are going to undertake lasts for more than six months then, he or she needs to reach the country a week before else one month prior. An International student undertaking a course below the degree level under the Tier 4 category is permitted to work for 20 hours in a week. If you interested to study in UK, please fill out our Enquiry Form, so one of our visa expert will get back to you. ← Denmark Immigration Requirements To Be Met?